What is the Academic Edition? The Academic Edition is a Memsource-sponsored edition offered to academic institutions with translation courses. It was launched in May 2012 and received its first 7 sign-ups by the end of the year. There are currently over 120 universities around the world using the Academic Edition. The Academic Edition is designed for training students. Its purpose is to provide them with the opportunity to gain an acquaintance with the latest CAT technology and project management. Being API enabled, Memsource offers a truly broad variety of functions. The Academic Edition is intended for universities and other academic institutions which offer translation courses. The main benefit of Academic Edition is that students of translatology or language studies in general have the opportunity to work with genuine translation work and project management processes even prior to completing their studies. Memsource Cloud is a complete translation environment which not only includes the usual components such as translation memory, integrated machine translation or terminology management, but also supports APIs which further broaden its functions. To make the Academic Edition as accessible as possible, we do not require signing any agreement. And last but not least, we strive to cooperate with our academic partners closely – the Academic Edition can become a bridge for deeper collaboration. For example, students of selected universities are offered to take a test and become Memsource Certified Students. Cloud Computing The server is based on the principle of “cloud computing” which enables its users to work remotely from any computer on numerous standardized translation projects. This allows its users to produce high quality translations in an organized and easily accessible manner. The ability to work on the go is a major advantage for all those with a full schedule. Customization The Academic Edition is extremely flexible and can be tailored to any university’s needs, be it a small or large class, or even an entire course. All requirements can be discussed with the Memsource team to ensure the Academic Edition fits the university’s needs. User-friendliness The Academic Edition is very simple to setup and use. To begin with, there is no installation necessary, it is an online platform which is accessible merely by logging in. There is consequently no need for IT professionals or technical assistants. All it takes is a step by step log in. It is designed to be practical and easy to use, which means it requires minimum training and is automatically ready to use. This allows students and teachers to quickly gain access to the features they seek and take full advantage of our innovative technology. In addition, the Academic Edition is completely free and always will be—including online support. You can view testimonials from some of the universities by clicking here and selecting the “Academic” option. 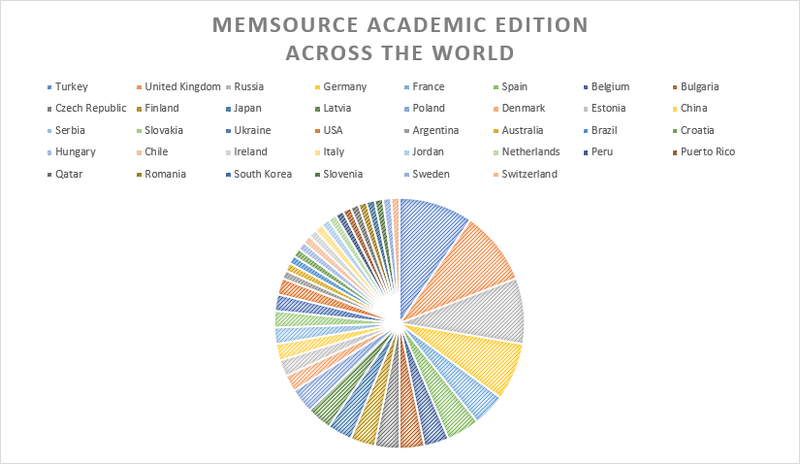 Any academic institution with a translation program is welcome to sign up for the Memsource Academic Edition. If you have any questions, please feel free to contact Filip, who is responsible for the Academic Edition, at filip.sanca@memsource.com. In case of any inquiries concerning certain specific technical issues, please contact our Support Team at support@memsource.com. If you have activated your Academic Edition but do not know how to begin teaching with it, please use this guide.